The regular monthly Cycle Sneinton event, which has proved a big hit on Hermitage Square over the last few months, is moving to Sneinton Market on 6th September for a one-off cycle celebration. All the usual free attractions (Dr. Bike repairs, craft activities, free food if you bring a bike!) plus a chance to purchase a lovingly refurbished second hand bike from Frameworks Bike Club social enterprise! 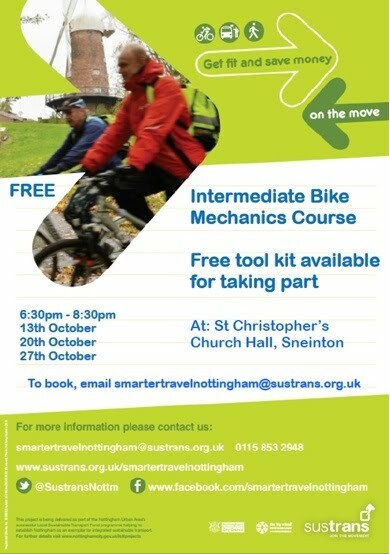 A guided cycle ride - suitable for riders of any ability - will leave Sneinton Market at 2pm. A second, unguided ride will leave from Hermitage Square at 2pm on Sat 20th September- suitable cyclists of any age who are confident to cycle independently on the road. 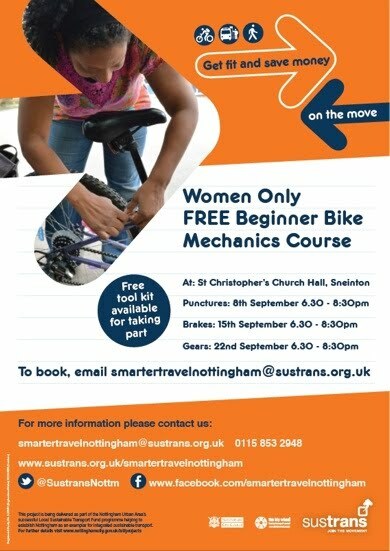 A women-only bike mechanics course will run for 3 weeks from 8th September, and an intermediate course (open to all) will run for 3 weeks from the 13th October.